What really happened was that Ajimobi was supposed to settle for Tegbe. 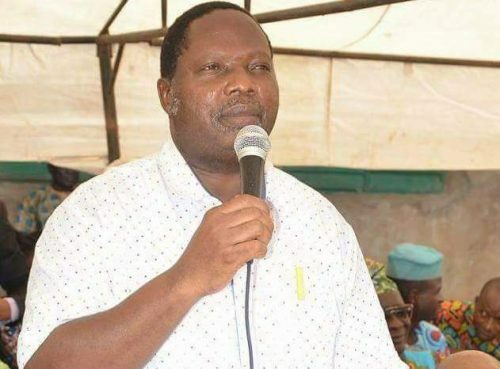 The last-minute decision of Abiola Ajimobi, Governor of Oyo State, to back Bayo Adelabu rather than Joseph Tegbe for the governorship ticket of the All Progressives Congress (APC) was not without money changing hands, SaharaReporters has been told. Months before the primary election, Ajimobi egged on anyone who indicated interest in succeeding him; however, as the primary election drew near, it became apparent that he was tilting towards Tegbe over Adelabu. A source had told SaharaReporters back then: “Each time anyone went to him to say he wanted to run in 2019, the Governor always encouraged them. He would answer, ‘Of course you are qualified. You schooled and you work in a reputable company; go ahead’. Now, those aspirants misconstrued the Governor’s encouragement for endorsement, not knowing that he had been telling all them the same thing,” he said.